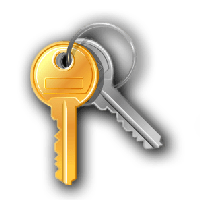 SIH - your key to success! Simple Inventory Hotkeys - is a simple autohotkey based program that enables you to customize your keys, which is usefull for inventory, messages, customkeys and other needed stuff in WarCraft III and Dota. Q: The tool doesnt work!? Q: Still it doesn't work!? Q: Is it a hack? Have it viruses? Q: Why my antivirus warns me about this program? Q: What me to do? A: The nature of "hotkeys" on some antiviruses are recognizes as virus/untrusted stuff coz of their remapping function. If you don't trust simply don't use it. A: Before using this application, close your antivirus to avoid the detection of the file and/or add this to trusty zone. Q: I love ur tool! A: Share this tool with everyone!